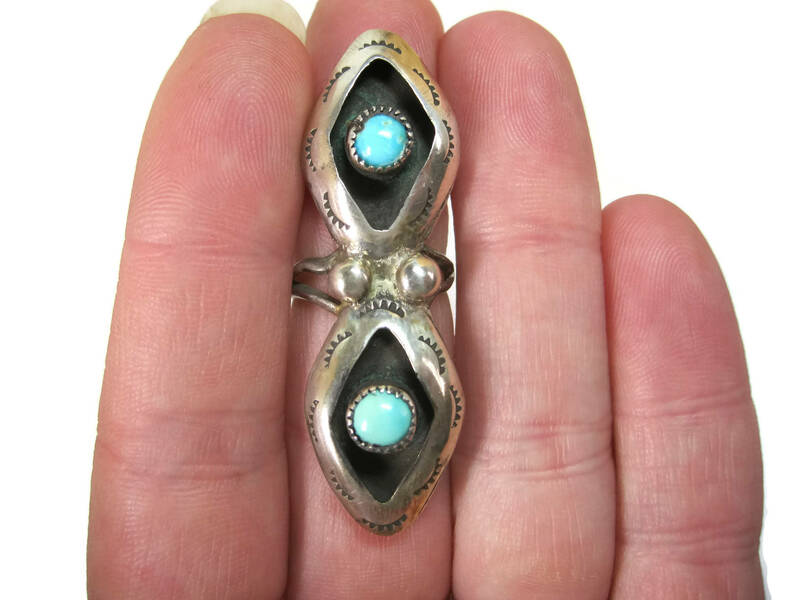 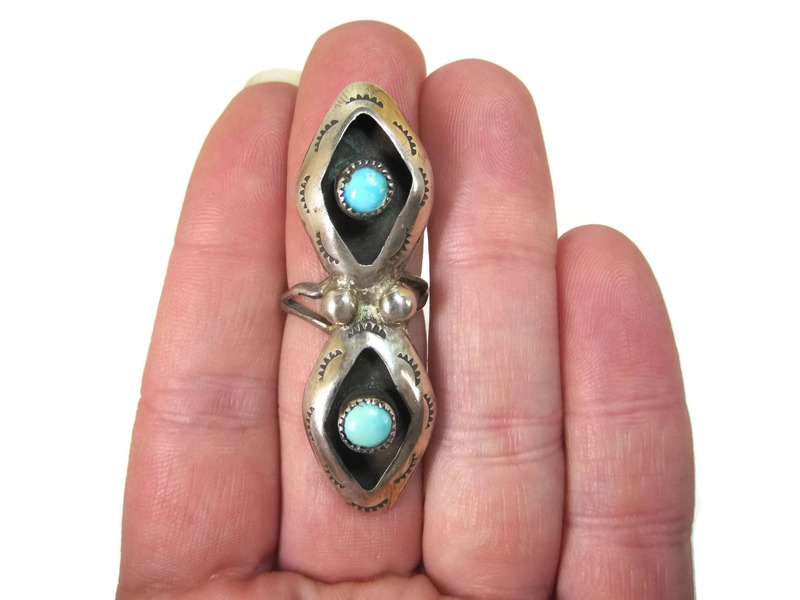 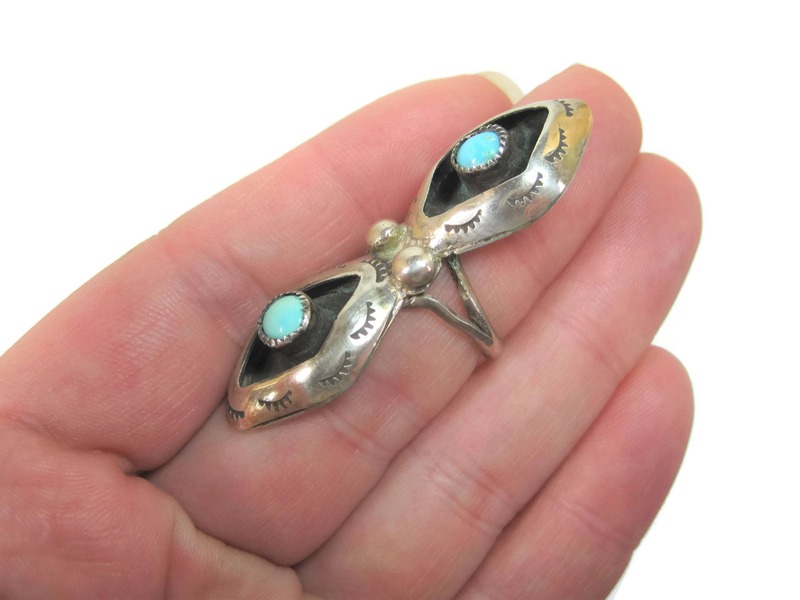 This gorgeous vintage Native American shadowbox ring is true dead pawn fresh out of storage. 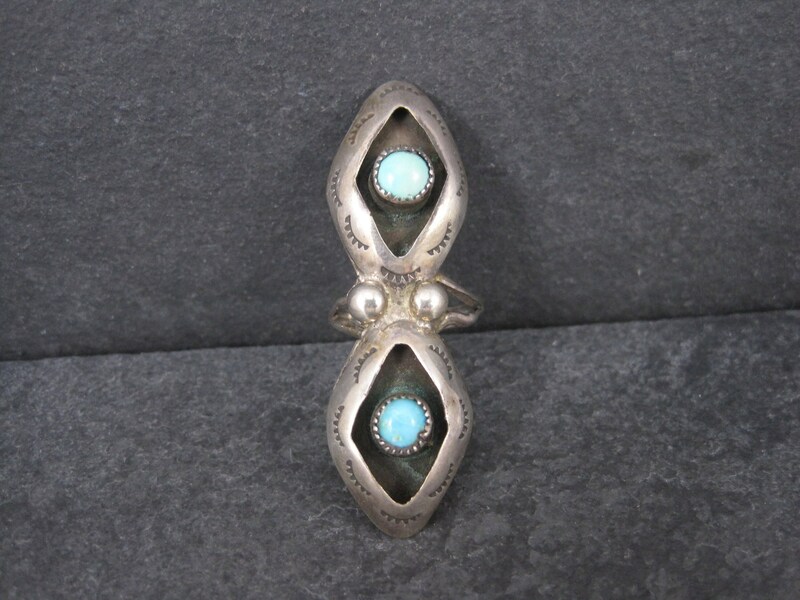 It is sterling silver with 2 natural turquoise gemstones. 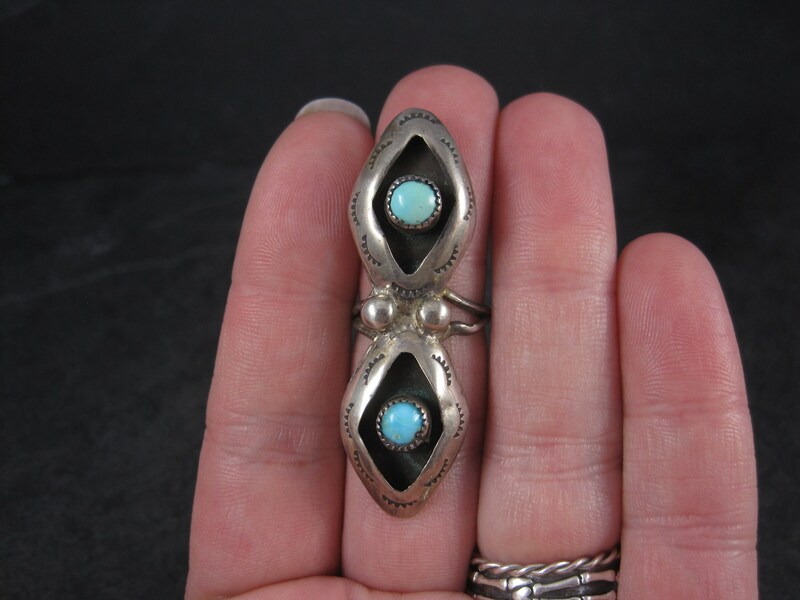 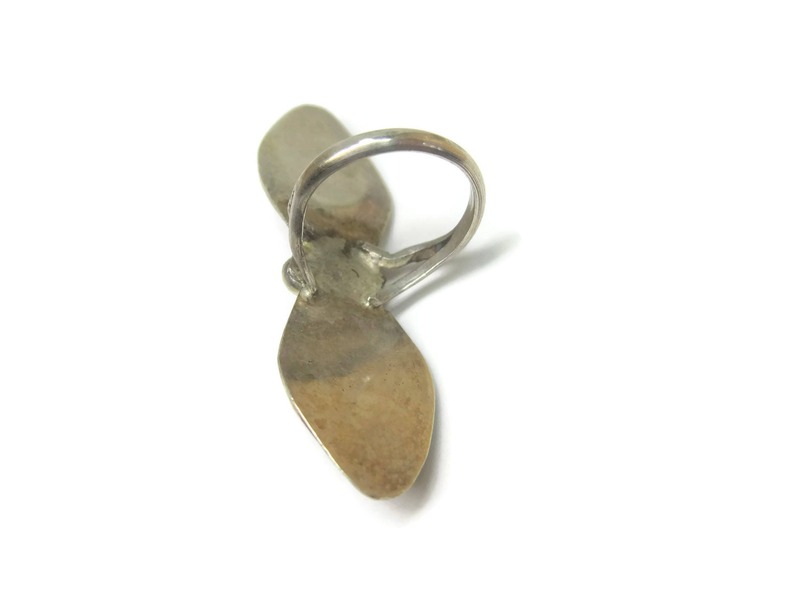 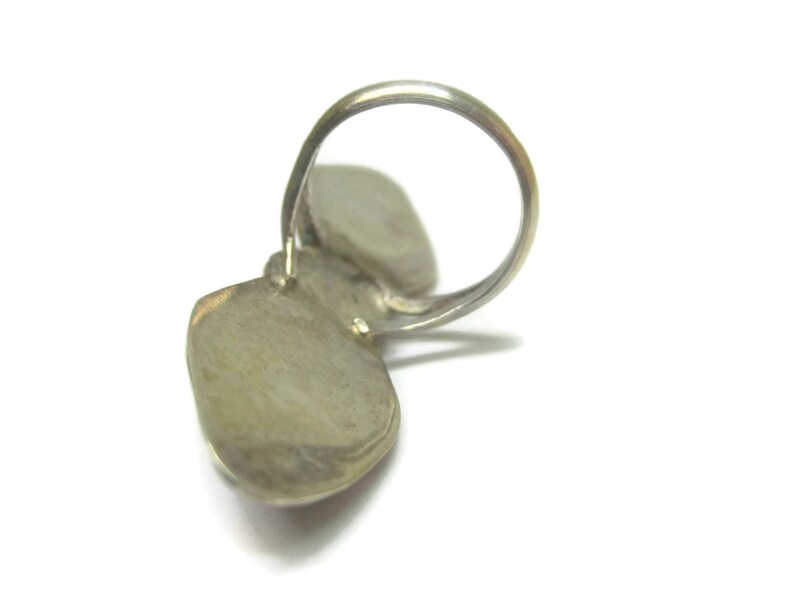 The face of this ring measures a whopping 2 inches.